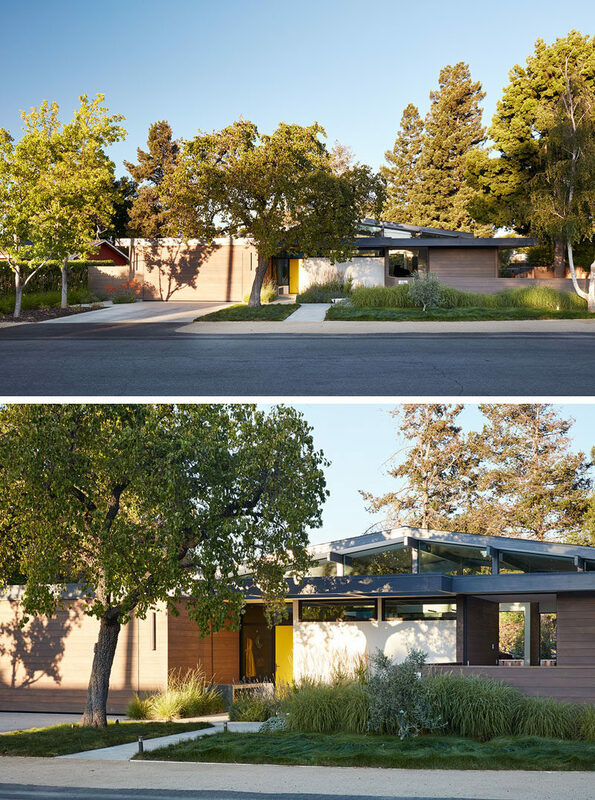 Klopf Architecture and Outer space Landscape Architects have recently completed a new house in Los Altos, California. 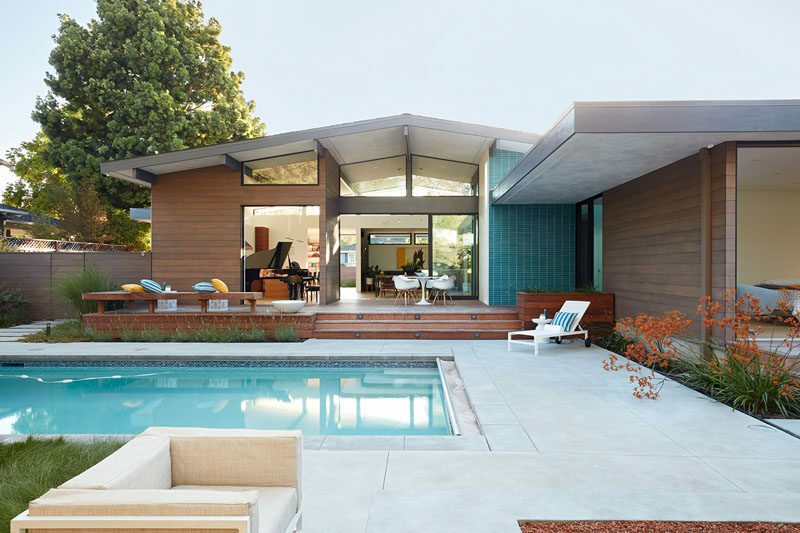 Inspired by the design of mid-century modern homes, the clients wanted a completely new and custom home that would suit their daily needs with two children. 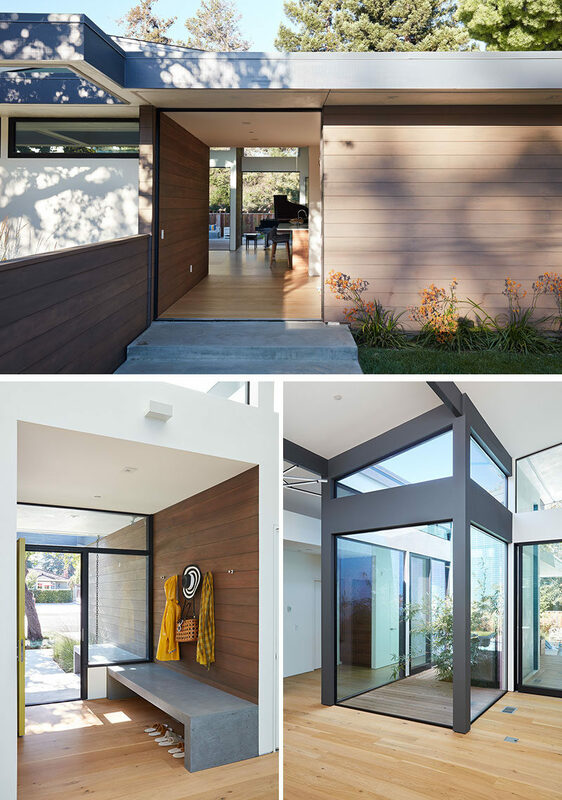 Upon entering the house, an open atrium entry in the middle of the house provides light and nature to the great room. Inside, a palette of white oak floors, white walls, walnut cabinetry, and dark window frames creates a uniform feeling and flow throughout the house. Beside the living room is a play room with a fenced-in play space connected to the front yard. 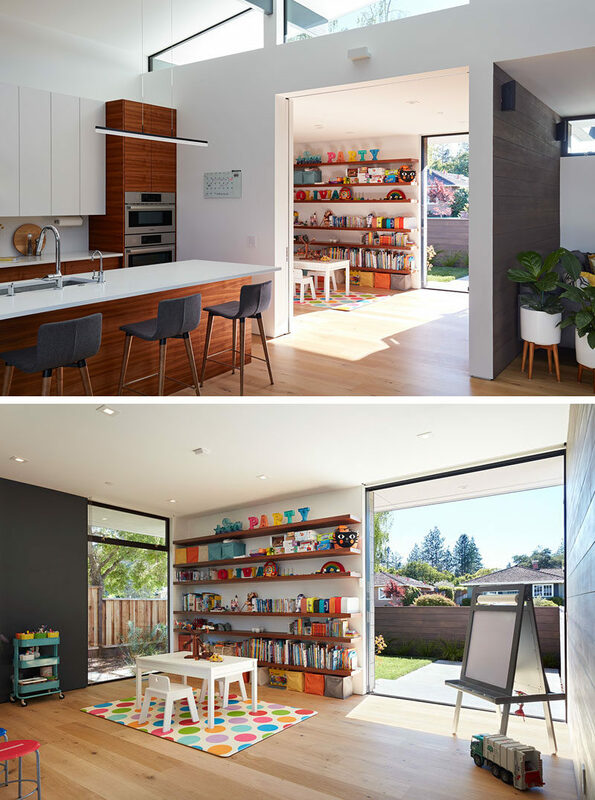 A sliding door can close off the playroom from the main social areas of the house. 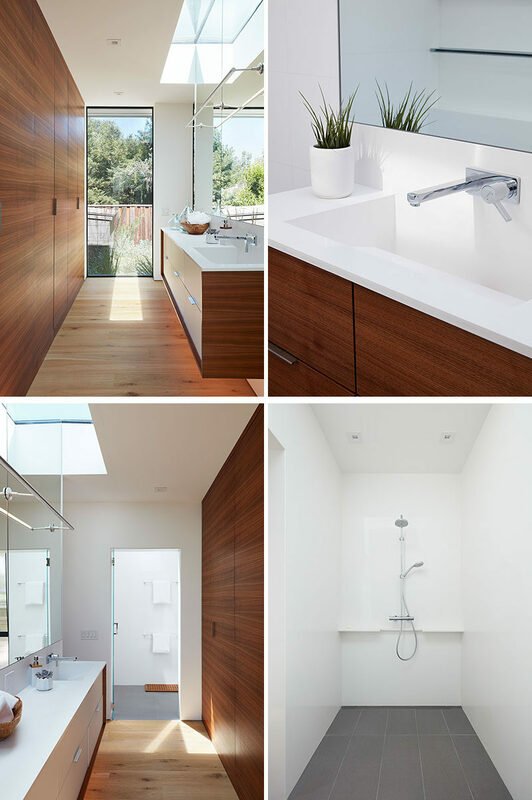 In the kitchen, white minimalist cabinets have been paired with wood elements. 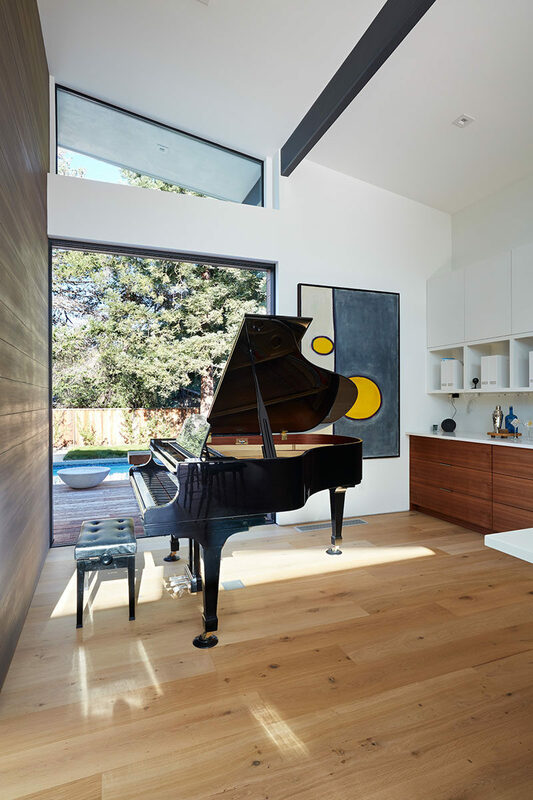 Beside the kitchen is an open music room with a high ceiling and a large sliding door. 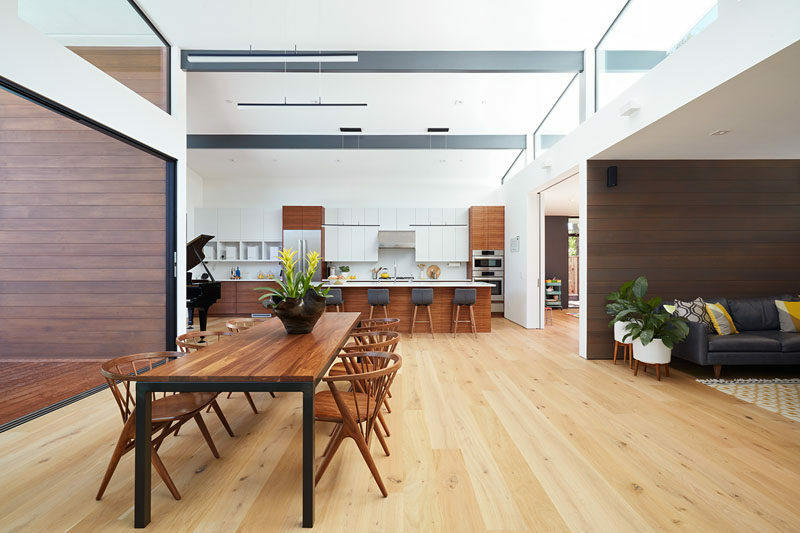 The dining table is central to the open space, and the clerestory windows that meet the high sloping ceiling help to make the interior light and airy. Large sliding glass panels and pocketing glass doors open to the backyard, that features a deck overlooking the pool and an outdoor lounge. Also enjoying access to the backyard is the master bedroom. 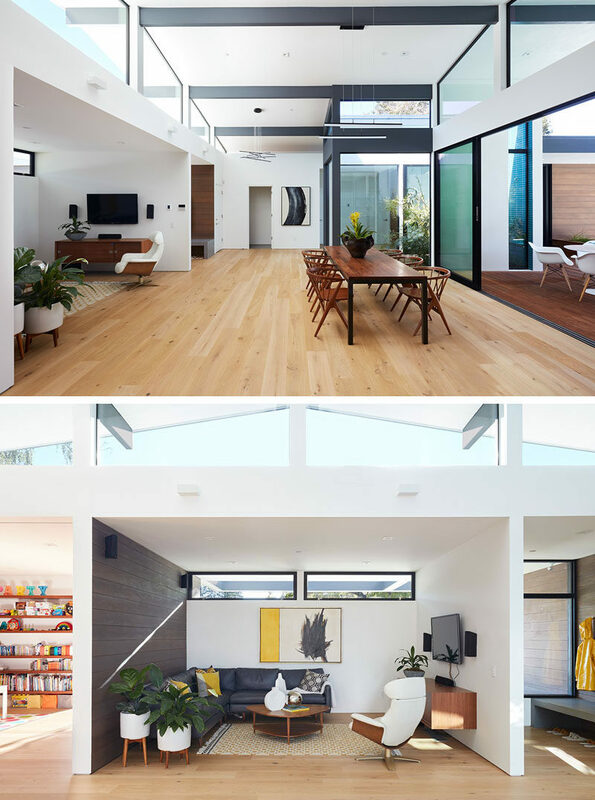 Large windows flood the room with natural light, and wood elements tie in with the other wood found throughout the home. In the master bathroom, a wood accent wall hides the door and reflects the wood of the vanity, while the mirror reflects the natural light from the skylight and window. In the shower, grey tiles contrast the white walls and ceiling.